Guiding your child as they explore the world around them. With our toddlers, we encourage hands-on exploration and social interaction in a safe, engaging environment to help your little one learn about his or her expanding world. We provide age-appropriate tools and materials to stimulate their five senses and let them acquire knowledge through first-hand experiences. Our teachers will also enhance your little one’s communication skills and values through personal encounters. 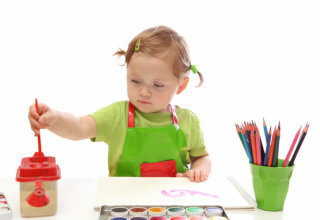 To know more about our program for toddlers, kindly contact us or set an appointment.